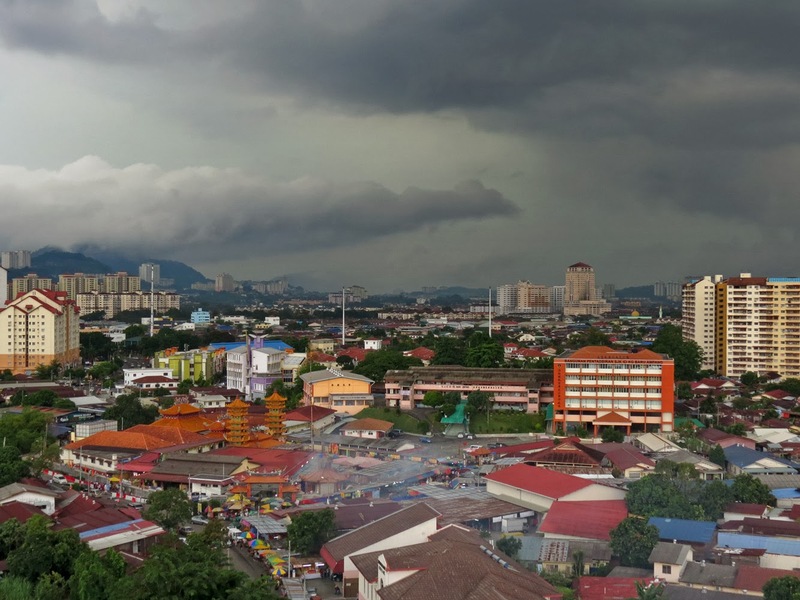 Despite the dark clouds that loomed over KL, and the heavy downpour that ensued in the evening, the festivities at Ampang Nine Emperor Gods Festival still burns high. 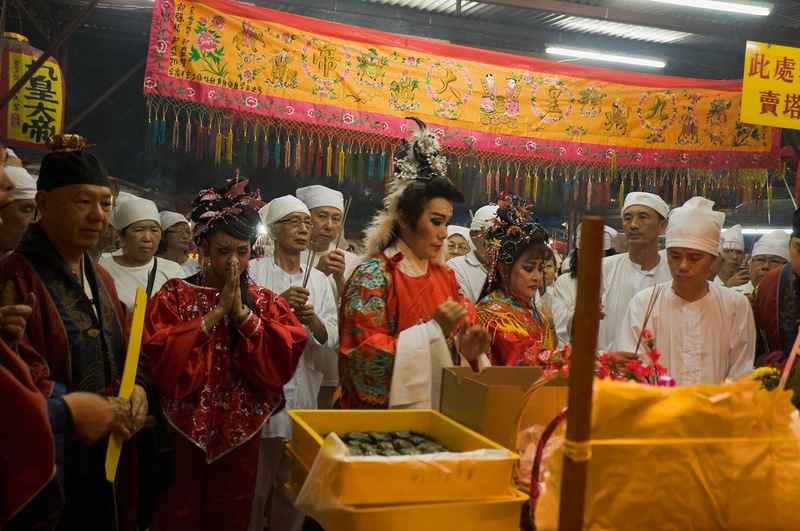 There were many prayer sessions, and there's the passing of offerings round and round during the evening as it was a Feeding the Heavenly Generals Day. 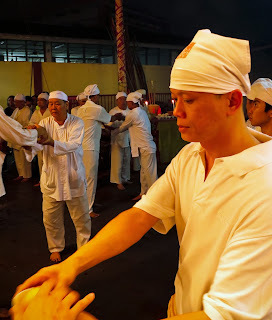 If you want to see photos of Feeding of the Heavenly Generals during the day at Ampang, do visit Sam's blog here. Dark rain clouds rolling into Ampang on the 6th day of the Nine Emperor Gods Festival. 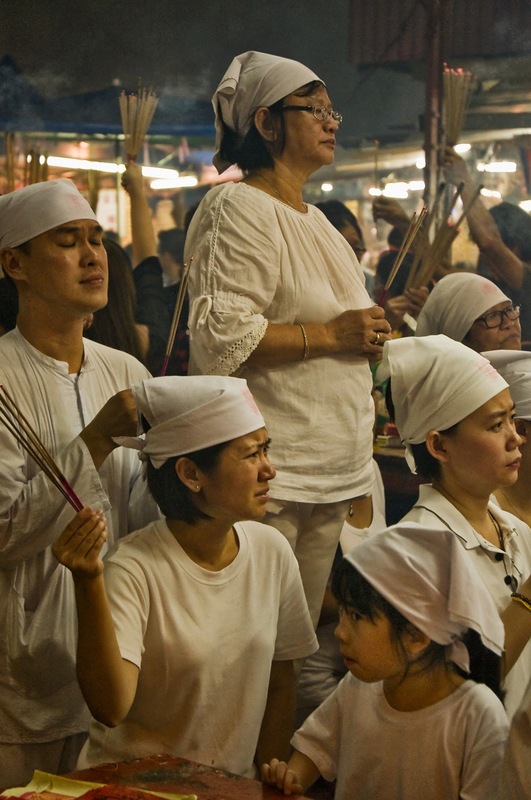 The prayers saw the gathering of family members, spanning four generations coming together to pray for their family's success and well-being. It was beautiful sight, as the old and young stand for 10 or so minutes together, all with the same goal instead of checking their iPhone or playing games on their pads. A family portrait - praying together. Round and round the offerings go around the temple. This is a must see event, for the coordination is unbelievable. Right, we have the ugly sisters. Now where is Cinderella?? - the opera actors/actresses come up to participate in the ceremony. The general crowd started coming in later at night, probably due to the traffic at KL that was a crawl, and due to work requirements. 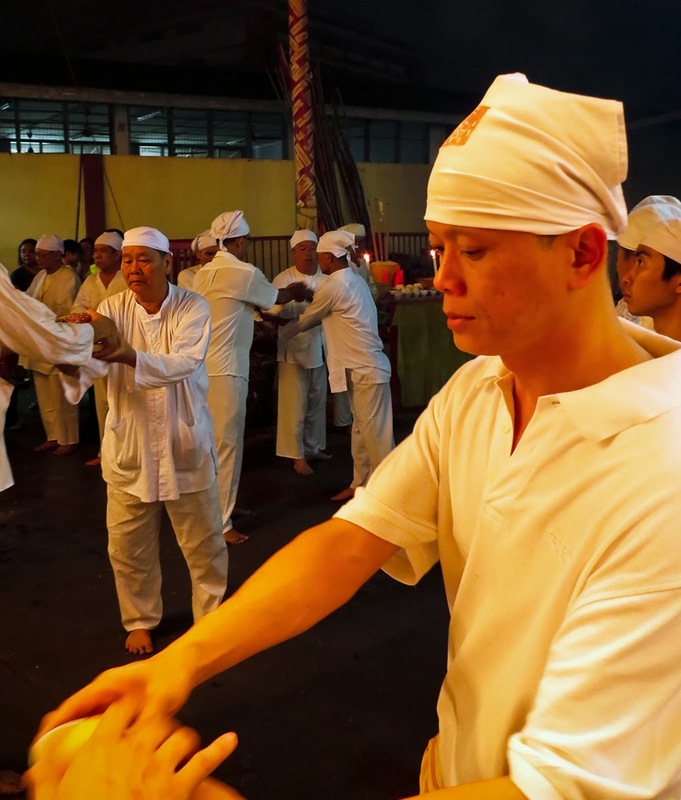 Below is a very short time-lapse clip of the round and round ceremony where offerings were passed around the altars. Remember that Saturday evening the temple will have a Bridge Crossing Ceremony, so do come and have a look if you are interested.